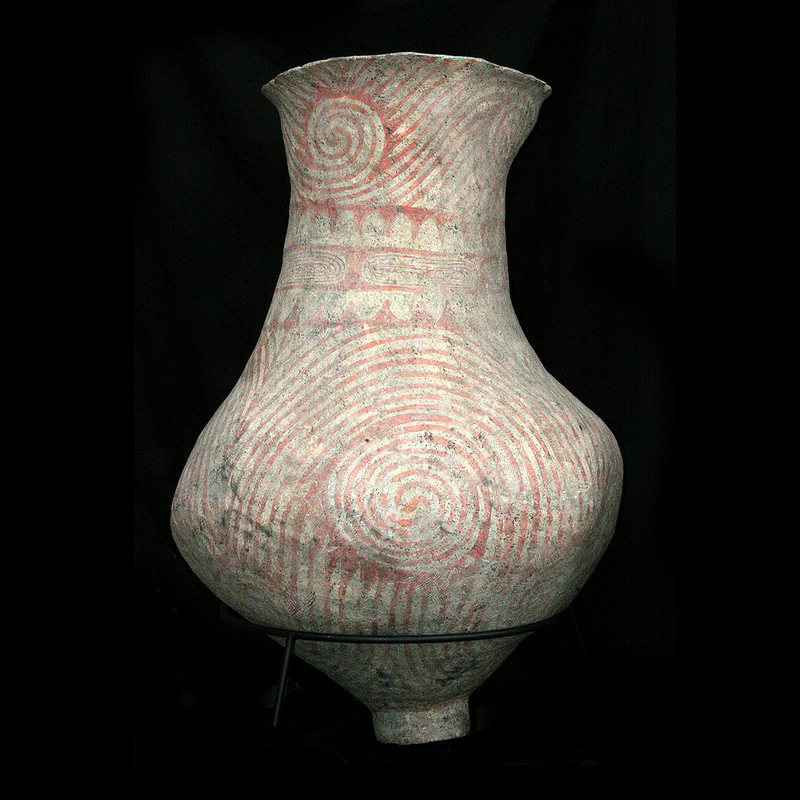 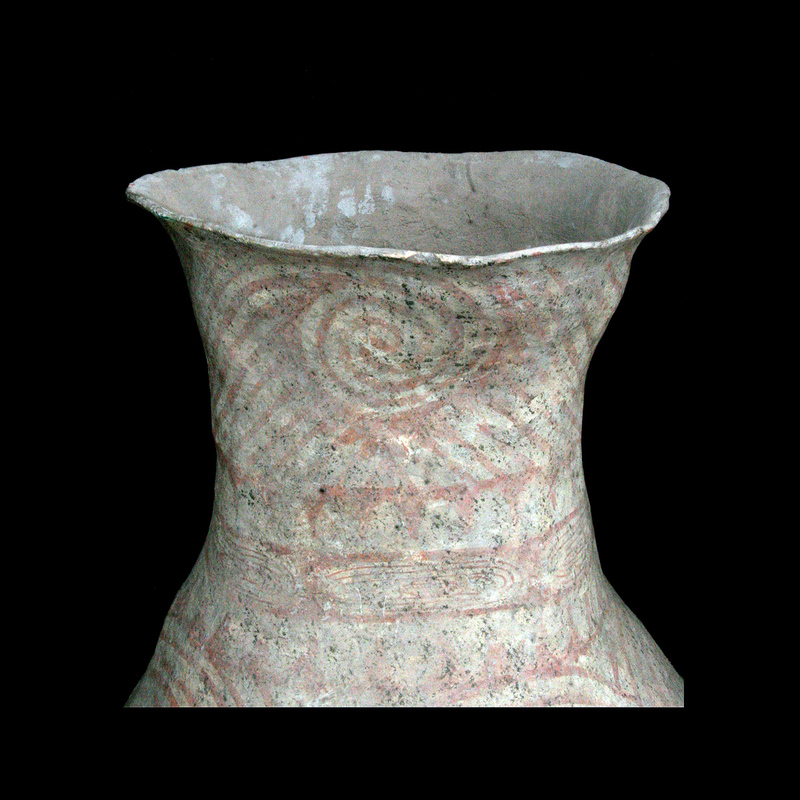 ﻿ Exclusive Items : Extremely large and rare Ban Chiang clay vessel with painted decoration. 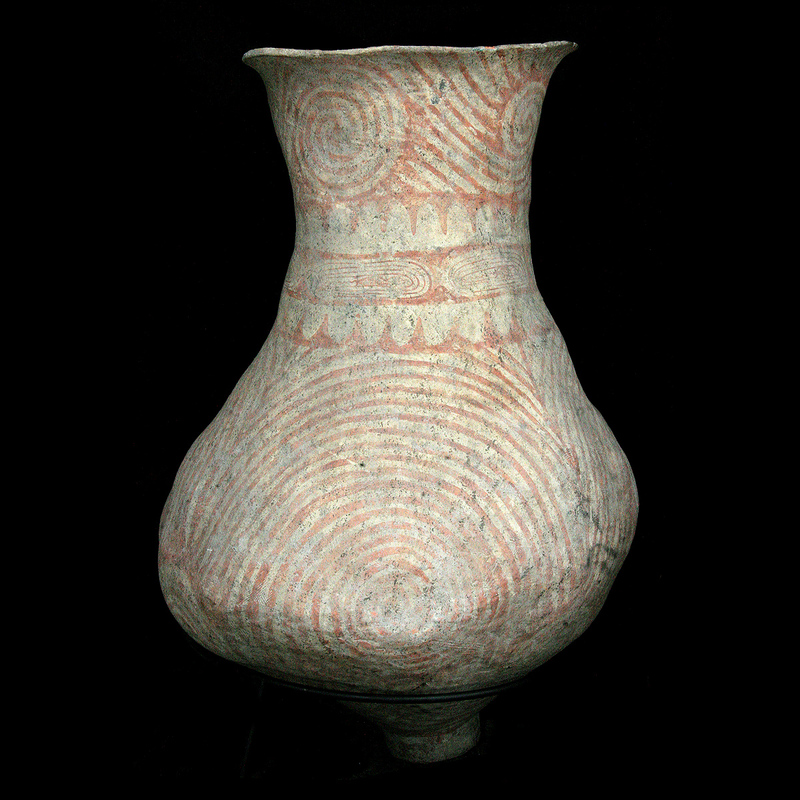 Extremely large and rare Ban Chiang clay vessel with painted decoration. 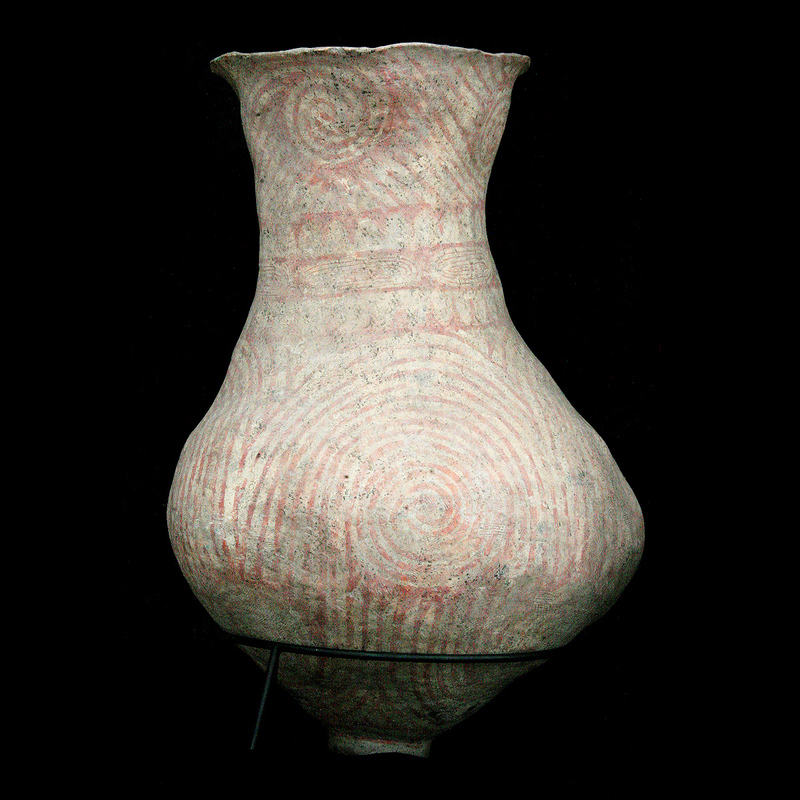 An Extremely large and rare Ban Chiang clay amphora. 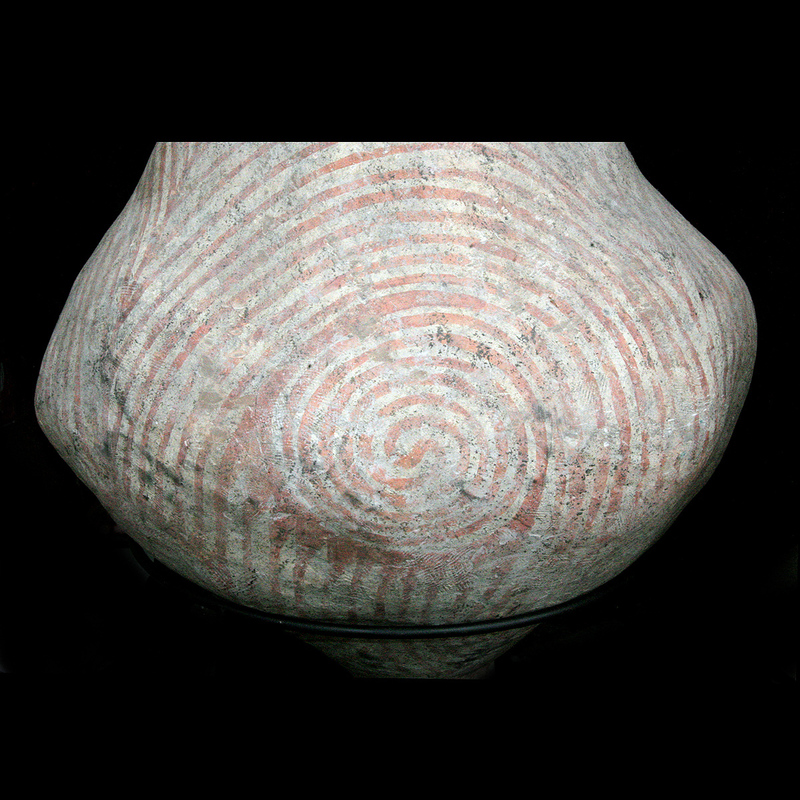 The globular body resting on a conical flat based foot, with the neck terminating in a flared spout. 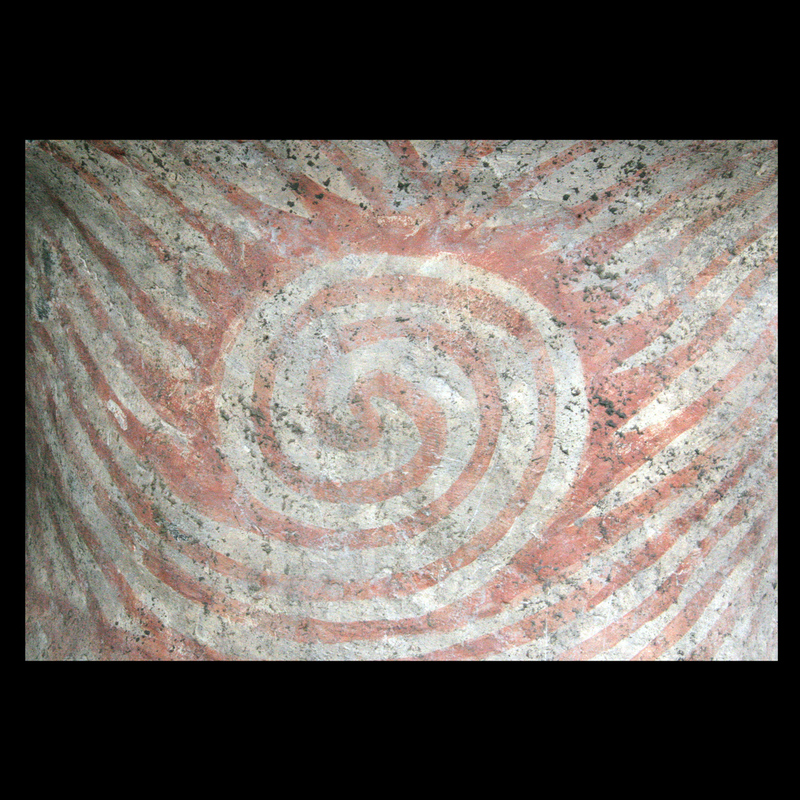 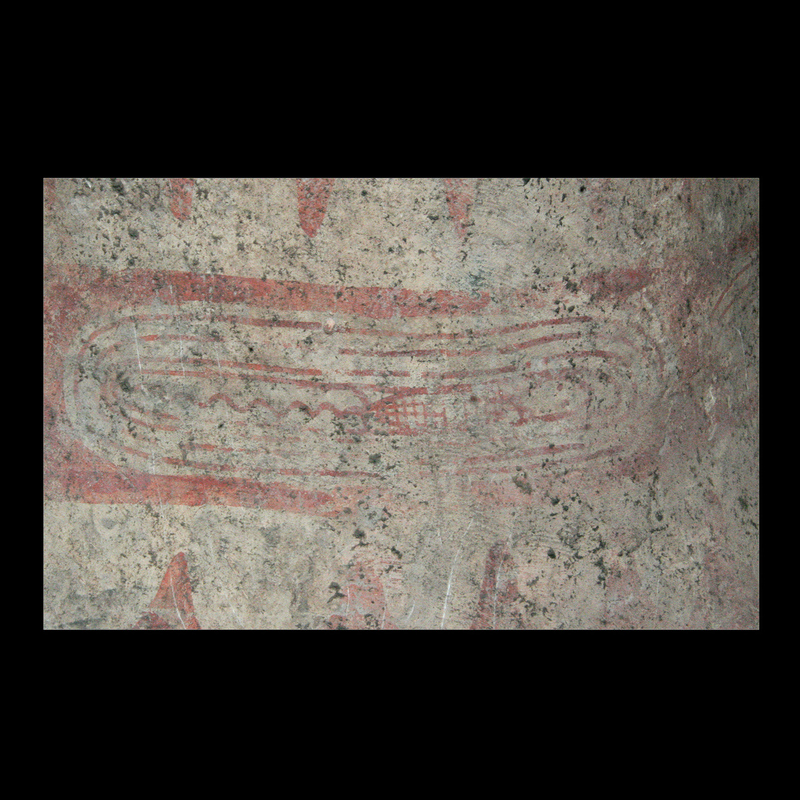 The entire outer surface with red slip decoration in curvilinear motif. 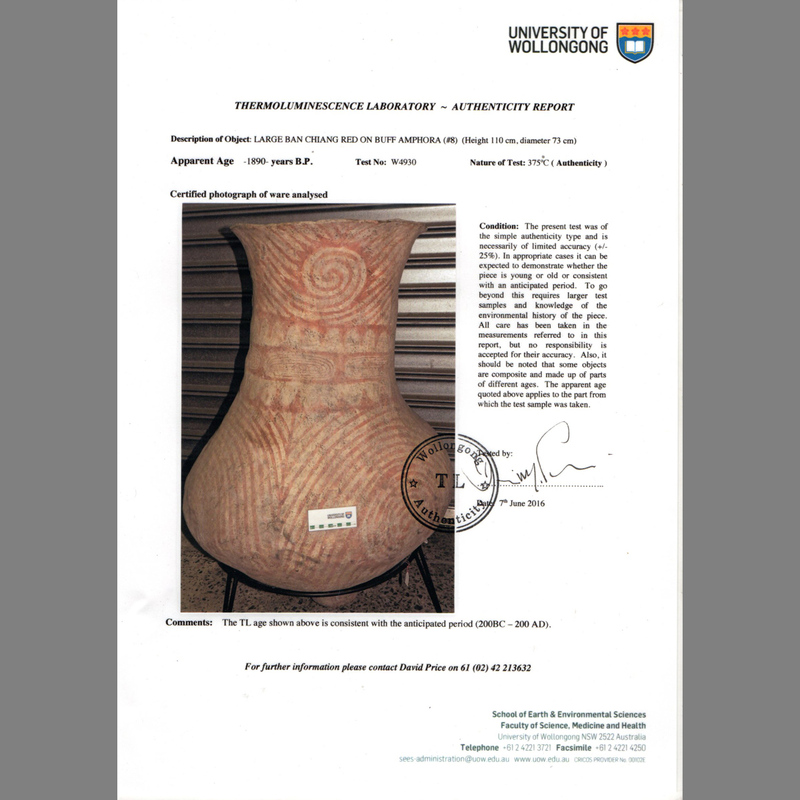 This piece is accompanied by a thermoluminescence from the University of Wollongong, NSW, Australia, stating its age to be approximately 1890 years BP.